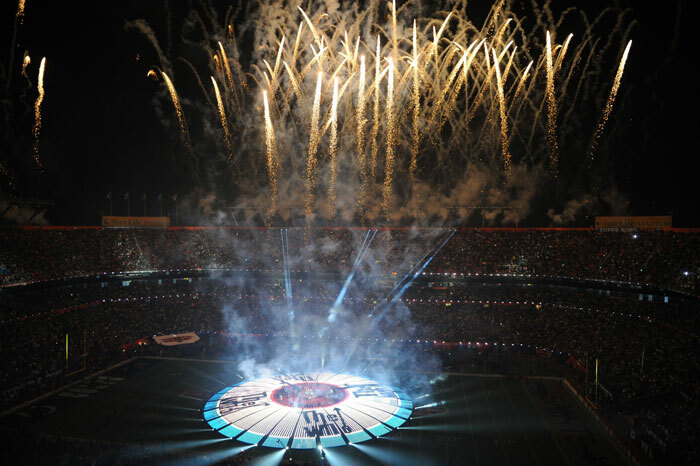 Super Bowl halftime shows for Bruce Springsteen, Black Eyed Peas and The Who? Check. 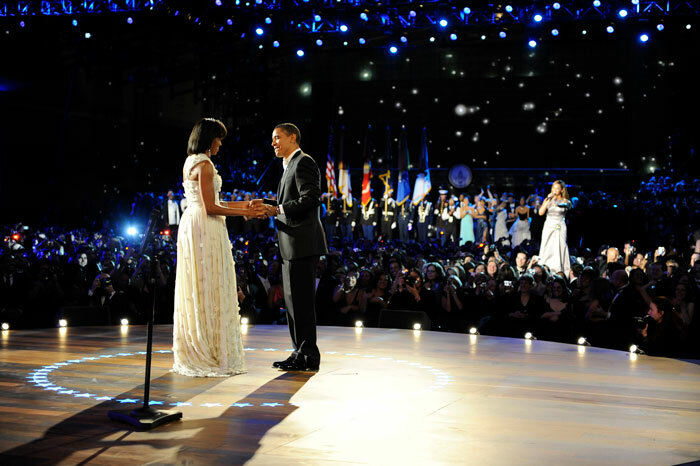 Inaugural ball for President Barack Obama? Check. Hockey Hall of Fame in Toronto? Check. People’s Choice Awards and Country Music Awards shows? Check. 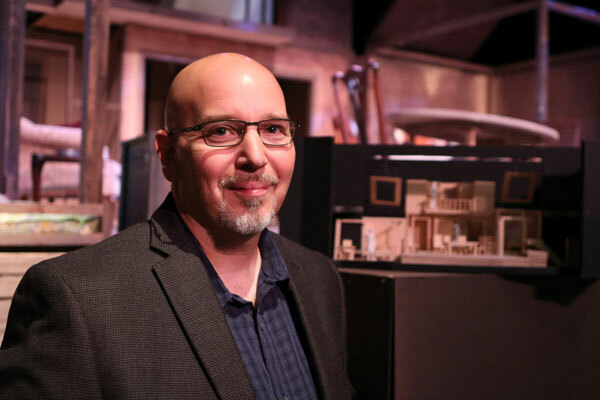 He also designs and builds sets with a student crew for the Upper School fall play and spring musical each year and does lighting for Upper School dance performances and jazz-rock ensemble In The Pocket’s performances. 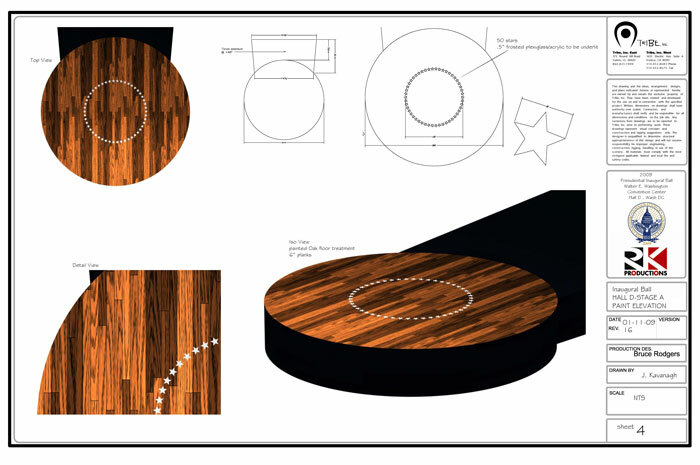 As art director and 3D CAD (computer-aided design and drafting) designer for Bruce Rodgers’ Tribe Design company, Kavanagh worked on some of the biggest events in the industry — including tour designs for Beyoncé — and he established his own firm, JKDesigns, which does exhibit work for global companies. But his calling was teaching technical theater. Kavanagh caught the theater bug in a middle school that was connected to a performing arts high school in Sarasota, Florida. “I had seen the productions throughout middle school, so when my high school years came around I interviewed to get into the performing arts program. I knew I wasn't interested in acting, but I knew I was artistic and had a desire to check out the design program. I didn't really understand fully what that meant. Kavanagh was awarded a full scholarship to Troy State University, but he soon realized the school’s theater program was a step back from his high school experience. That’s how he found The Theatre School at Chicago’s DePaul University. Lee offered him a job, not an internship, but the catch was he needed to start the next week. Kavanagh turned it down because it was his senior year and he was involved in several theater productions in Chicago. Lee invited him “to come visit, check out the studio, see what you think and then we can talk. I knew then that I had probably already missed my chance. Kavanagh returned to Chicago and took a part-time job teaching technical theater at Francis Parker School, an independent school in Chicago, while he finished his senior year and also started freelance designing. But he had a dream of teaching at a performing arts high school, and on a visit to Florida, he heard Tampa was building a school. He moved on to graduate school at Florida Atlantic University, but left when the set design professor he wanted to work with was no longer there. He debated whether to accept an offer for graduate school at the University of Washington or a teaching job at Northfield Mount Hermon, a boarding school in Massachusetts. Teaching won out, and he became chair of the performing arts department. Then romantic love trumped love of teaching: He met his wife, Amy, and moved to Maine with her. There were no schools nearby with theater programs, so Kavanagh worked in professional theater and got involved in exhibit design. A public television station was doing some political campaign debates and wanted him to design a podium similar to the one used at the 2008 Democratic National Convention. 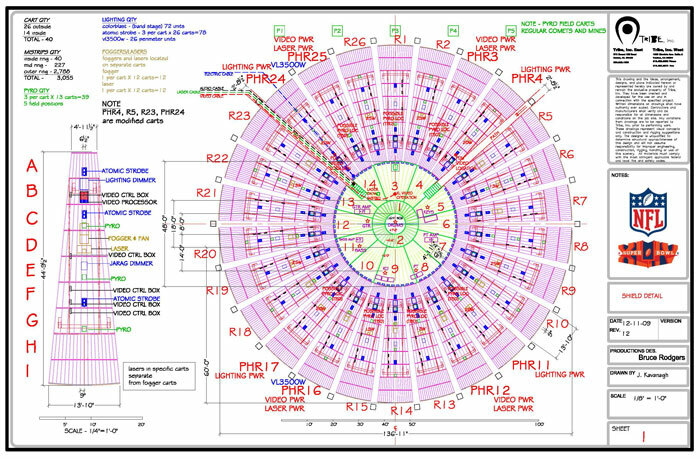 That’s how he connected with Bruce Rodgers, whose company, Tribe Design, had designed the podium then-presidential nominee Barack Obama had spoken from at the convention. “His website was filled with his design work for people like Madonna and Prince and Tom Petty and Tim McGraw and Fleetwood Mac and the list went on.” Kavanagh emailed Rodgers on a whim and said he’d be interested in helping with design work. “To my surprise, he wrote back,” and Kavanagh sent him samples of his work. Rodgers wanted to see larger-scale drawings, so Kavanagh asked him to send him a project so that he could show him what he could do. Kavanagh worked on the drawings all day and night, and the drawings went back and forth with notes from Rodgers and revisions by Kavanagh. “I worked all day the next day, and next thing I know, I was on a plane to Toronto, meeting with the curator of the National Hockey League's museum and picking memorabilia that was going to go on the displays that I had helped design for him. And then I was helping install the stuff that we had designed. At that point we are already on a roll, and I have been working with Bruce nonstop. I started doing drawings for the Super Bowl that year , which was Bruce Springsteen's halftime show in Tampa. Kavanagh’s own company was burgeoning, and he realized he had to make a choice. “I couldn't grow my business, JKDesigns, at a certain point and balance the work with Tribe,” so he opted in favor of JKDesigns. But the yearn to teach kept tugging at him, and when the time was right, he was ready to move. “My stepson, who is now 19, was finishing middle school. We knew he was going to need to switch schools, and my daughter was young enough that we were ready to make a change. I was ready to get back to teaching. I had missed teaching all these years.” Kavanagh and his wife had been talking about moving south and decided to take a vacation to North Carolina. So he turned down the job, moved and then looked for a job. “James Bohanek [DA theater director] had posted a listing looking for a designer for their musical, which was Urinetown. The reason he did that was because the person he had been hiring to do shows took the job that I passed up at Riverside High School. I walked in and met James Bohanek. I think he and I knew right away that we were a perfect fit, that we saw eye-to-eye on a lot of things. Kavanagh thinks there are a lot of great things to be learned by doing technical theater, “and a lot of those have nothing to do with theater at all. I think what you learn is about collaborating with a group. “What I've always loved about theater is the collaboration. These students learn that by working as a group, we're able to put together something sort of fantastic onstage. I think they learn a work ethic, and they learn the hard work that goes into putting on a production. … They learn a level of confidence in their ability to take raw materials and put together a set. Often, these kids are amazed at what they see as an end result after they've been building for two months. They've been building small pieces of the pie. Then they put it all together, and they realize what every bit of that pie put together created. I think that alone gives them a level of confidence in their own ability, but also gives them an understanding of what a group together can do. I think that's sort of empowering for them, which is exciting for me.